Dr. Bennet Omalu is a pathologist based in Sacramento, California. He graduated in 1991 from the University of Nigeria. In 2004, he graduated from the University of Pittsburgh obtaining a degree in Epidemiology. In 2008, he graduated from the Carnegie Mellon University. He became famous in the medical field for his special interest in relating chronic traumatic encephalopathy with professional athletes. In 2002, he diagnosed for the first time an NFL player with this condition. Subsequently, he became a renowned guest at multiple professional symposiums. Dr. Omalu was also awarded the Distinguished Service Award for his activity. Dr. Bennet Omalu is a board-certified specialist in several clinical areas: Anatomic and Clinical Pathology, Neuropathology, and Forensic Pathology. He is a member of several professional organizations including the American Society for Clinical Pathology, the American College of Epidemiologists, the National Association of Medical Examiners, the College of American Pathologists, the International Academy of Pathology, and the American Medical Association. Dr. Bennet Omalu is the Medical Examiner of San Joaquin County, California. 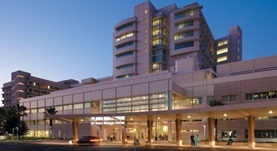 He is affiliated with the UC, Davis Medical Center where he fills in the position of a Associate Physician Diplomate. Dr. Bennet Omalu has contributed to 3 publications. Bailes, J. E.,Petraglia, A. L.,Omalu, B. I.,Nauman, E.,Talavage, T.; J. Neurosurg.. 2013 Aug 27. Is there an association between coronary atherosclerosis and carcinoma of the prostate in men aged 50 years and older? An autopsy and coroner based post-mortem study. Omalu, B. I.,Hammers, J. L.,Parwani, A. V.,Balani, J.,Shakir, A.,Ness, R. B.; Niger J Clin Pract. 2013 Feb 05. Repeated Concussions: Time to Spur Action Among Vulnerable Veterans.